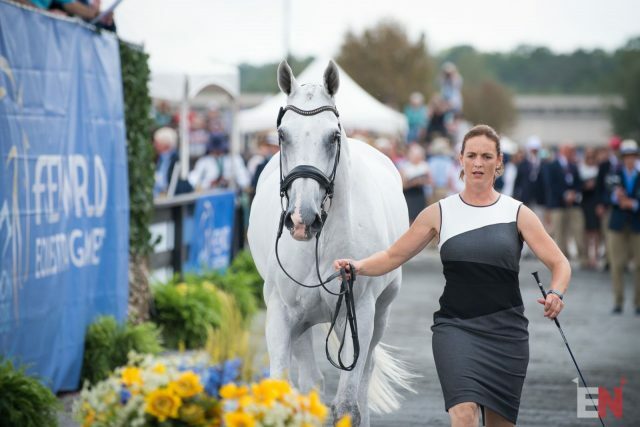 Colleen Loach and Qorry Blue d’Argouges — our pathfinders at WEG. Photo by Leslie Threlkeld. Team orders and dressage start times have been released for the 2018 FEI World Equestrian Games! Canada’s Colleen Loach and Qorry Blue d’Argouges will be first down centerline for dressage and our pathfinders on cross country. Sweden’s Ludwig Svennerstal and Stinger will be our final pair to go. Dressage starts at 9 a.m. EST/4 a.m. BST on both Thursday and Friday. Click here for details on how to watch live.